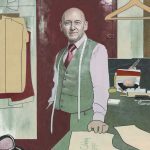 2017 major portrait prize winners announced. 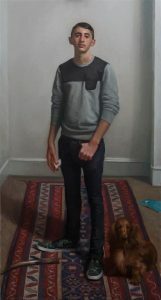 Prizes are awarded for works exhibited with the Royal Society of Portrait Painters. 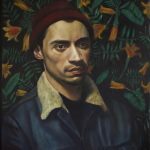 This year’s Annual Exhibition runs at Mall Galleries until 19 May 2017 and includes over 200 portraits by more than 100 artists. The Ondaatje Prize is the Society’s major annual award to the painter of the most distinguished portrait of the year. The Prize takes the form of a £10,000 cheque in addition to the Society’s Gold Medal. 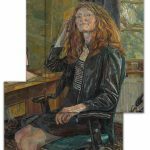 The de Laszlo Foundation Award – the The de Laszlo Medal for Excellence, together with a cheque for £3,000 – is awarded to the artist aged thirty five or under, judged to have submitted the best portrait. 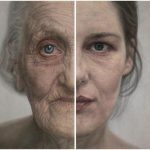 The Changing Faces Prize is awarded to the artist whose portrait most powerfully conveys the energy of their subject, the directness of their gaze and an attitude that exudes openness and confidence. 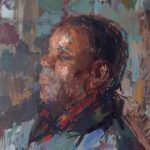 The Prize is a £2,000 commission to paint a portrait of a person who has a facial disfigurement for the Changing Faces Collection, which aims to ensure that people with unusual faces are well and fairly represented in modern-day portraiture. 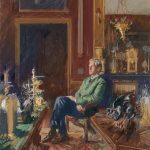 His Royal Highness The Prince of Wales has lent his name to the Society’s prestigious award for portrait drawing for the last eighteen years. The Award – a framed certificate and cheque for £2,000 – highlights the importance of drawing within contemporary portraiture. The Burke’s Peerage Foundation Award for Classically Inspired Portraiture was instituted to celebrate the art of portraiture included in Burke’s Peerage since its foundation by John Burke in 1826. It is presented annually with a framed certificate and a cheque for £2,000. The Smallwood Architects Prize is an award for a portrait in which architectural or interior features play an important part in enhancing the human subject by creating energy and a sense of place, and giving insight into the subject’s life. The Contemporary Arts Trust offers £1,000 to the most deserving artist in the exhibition. The Trust’s objective is to assist deserving artists who show promise … to encourage them to remain in the arts and continue on their creative journey. The RP Non-Member’s Prize is a gift of £2,500, donated by The Patron’s Fund, which supports charitable organisations across the UK and Commonwealth for which Her Majesty The Queen acts as a Patron. 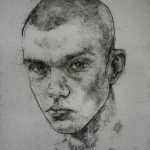 PreviousPrevious post:Harriet PattinsonNextNext post:BP Portrait Award – two out of three!